Recovery, Aerobic, Anaerobic… what does it all mean and how does it apply to my training? Knowing what your power output, heart rate and perceived exertion should be for a given duration or event is key in ultimately making you go faster. At Premier Endurance we understand the minefield involved in navigating all of this terminology associated with training zones, percentages of power output and so on, the below aims to go some way into clarifying these terms, showing how they apply to you and ultimately make you a faster athlete! In our (practical guide to field testing) article we discussed how to go about setting a benchmark to determine your threshold. Setting this bench mark is important as it allows us to identify key physiological parameters regarding you as an athlete. It also gives us the figure(s) in which we base training prescription off of, essentially determining functional threshold power (FTP) and threshold heart rate (LTHR). So, if you have not undertaken some form of performance test then we would strongly recommend you do so. Training zones, what are they? So now you have your bench mark set we can start to calculate zones for training. There are many different zones and approaches used by coaches and athletes each with their own merits. At Premier Endurance we work from Coggan’s seven zone model, this is best observed visually in the image below. You can also access our zone calculator here where you can simply insert your threshold power and/or heart rate into the appropriate cell to generate your unique training zones. Let’s go into brief detail under each zone keeping in mind our principles of training such as specificity, overload and recovery. This is typical of any training programme, light recovery rides ranging anywhere from 30 minutes to 2 hours. This low-level exercise allows us to recover from training stress both within a session and on a week to week basis. In this zone you’ll feel as if you can keep going with little concentration and effort input. This allows us to apply overload through the use of all the other training zones while allowing sufficient recovery to apply such overload. 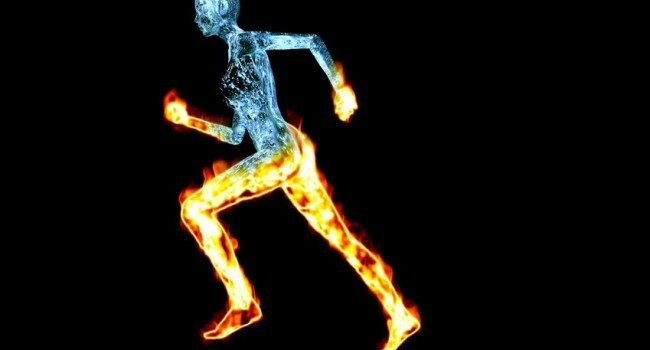 The vast majority of research in this domain supports the use of active recovery within the workout due to PCr (energy for short explosive efforts) resynthesis, reducing oxygen debt and essentially returning the body to homeostasis. This is the intensity level we prescribe for longer endurance rides, typical of the majority of social group rides, long-slow distance training and occasional recovery between longer efforts in higher zones. In this zone you’ll be feeling the pinch slightly more than in zone 1, but, provided fuelling is adequate you’ll be able to keep within this range for large periods of time. This takes advantage of all the adaptations consistent with endurance training such as increased mitochondria, increased threshold, increased stroke volume, increased Vo2 max etc. Typically, an endurance athlete will spend most of their time in this training zone and is one of the few zones that we target year-round. Tempo is an intensity level that you may be all too familiar with! It is consistent with fast group rides, the bulk of bunch racing and breakaway riding among many other scenarios. In this zone breathing will start to become more laboured and the capacity for overload is dependent on training level, recovery and fuelling. Interval ranges within a training session for zone 3 go from as low as 5 minutes up to two hours and sometimes more. This training zone gives us all the benefits of zone 2 but at an accelerated level, so why not ride around in this zone all the time? The answer is that riding in this zone is fatiguing so our capacity to undertake this form of training on subsequent days is low, it also comes to a stage where targeting a higher zone for short time periods becomes more beneficial. Zone 4 or “threshold” involves work slightly below, at and above the anaerobic threshold, lactate turn point 2 or functional threshold power. The are many names for this “threshold” but essentially it is the power, heart rate, effort level at which the anaerobic (without oxygen) processes become more dominant. Without oxygen facilitating muscular contraction there is a finite amount of time and intensity that our bodies can operate at. In this zone breathing is definitely laboured and cannot be sustained for long periods of time, it is also important to note that the heart rate targets may not be achieved within the opening minutes of efforts such as these. Adaptations here are consistent with those mentioned previously but again to a greater extent. Recovery from working in this zone will take much longer than zones 2 and 3 meaning the amount of work sustainable is low. The Sweetspot training zone, which most people will have heard of, is also located at the very bottom of this range! VO2 Max is routinely referred to within endurance sports, it can be thought of as your maximal oxygen uptake expressed in ml.kg.min-1. What we’re interested in here is the power achieved at this VO2 Max, this gives us a bench mark of your capacity as an athlete and is also one of the most beneficial training zones available for endurance adaptations! This is essentially a maximum zone; effort times range from 3 to 8 minutes typically interspersed with varying degrees of recovery. Recovery from this type of training is critical to maximize overload and adaptation. We would usually recommend no more than 2-3 of these types of specific workouts within a week for the typical athlete. A kilo on the track, that race winning attack 500 metres out and some tough training sessions, this zone is consistent with very high intensities and severe fatigue. In this zone you’re becoming highly fatigued and repeated efforts are next to impossible without sufficient recovery. You may still benefit from the adaptations associated with lower zones but what we’re really looking at here is to maximize anaerobic capacity or lactate tolerance, so your ability to “go” and “go-again”. Typically, an effort here lasts in the range of 30 seconds to possibly 2-3 minutes depending on the individuals own physiology. Recovery form this is again a longer process than that of previous zones and thus should be used appropriately in the training programme. The below image represents how you’ll most likely feel with these workouts! We’re talking sprinting here! The goal is pretty simple, usually we are looking to increase power for any duration under that 30 second mark. This is tough training and can be altered depending on the goal, that is, if you’re aiming to increase peak powers then the athlete needs full recovery between each individual interval to fully restock those PCr reserves mentioned earlier. If we’re aiming to maximize and increase PCr usage and storage then recovery times are shorter allowing you to exhaust the supplies and adapt to store more! Thanks for reading this crash course in training zones and now that you have a basic understanding of the ideas and principles surrounding each zone get out and start adding some structure into your training approach! As always if you have any questions don’t hesitate to touch base with us and we’ll try our best to assist you.